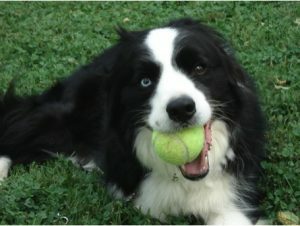 Favorite Activities: Chasing after tennis balls! I can fetch until I pass out!! Best Qualities: My two different colored eyes, and my sweet and loving attitude! My Best Friends: Tennis Balls, Kai, Beau, and Bear!